I’m a firm believer that in order to experience the culture of a city, there is no better place to visit than a local park. At a park, you aren’t going to have people trying to butter you up for money or presenting a government approved history lesson. Instead, you can experience authentic modern culture wherever you happen to be visiting. 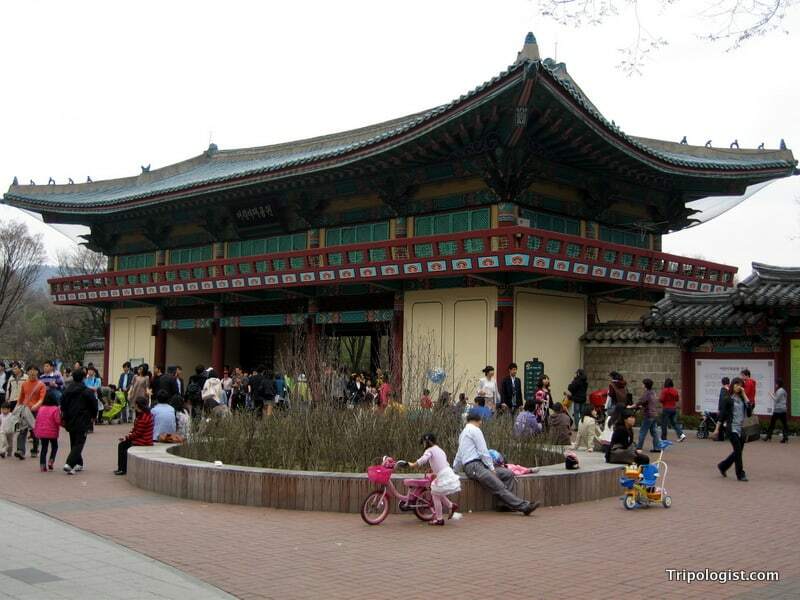 In Seoul, South Korea, Children’s Grand Park is one of the best and most easily accessible parks to visit and gives you a great taste of Korean culture. While you might think that Children’s Grand Park is only for kids, it really offers something for everyone because there are not just playgrounds and camel rides, but also a fantastic mini-zoo, an ampatheater, a botanical garden, miles of walking paths, and even a small amusement park. In my opinion, the zoo is one of the most interesting aspects of the park. While it is certainly not as nice as the fantastic zoo in Seoul Grand Park, the zoo in Children’s Grand Park allows you the chance to get close to some of the planet’s most exciting animals for free. Featuring everything from elephants, tigers, and monkeys, to polar bears, there is a little something for everyone. With only a thin sheet of glass separating you from some of the biggest cats in the world, you can really get a great close up view of the animals. You are so close in fact, that I once had a tiger lunge at the glass in front of me, hoping to get a nice meal of the tasty-looking foreigner. 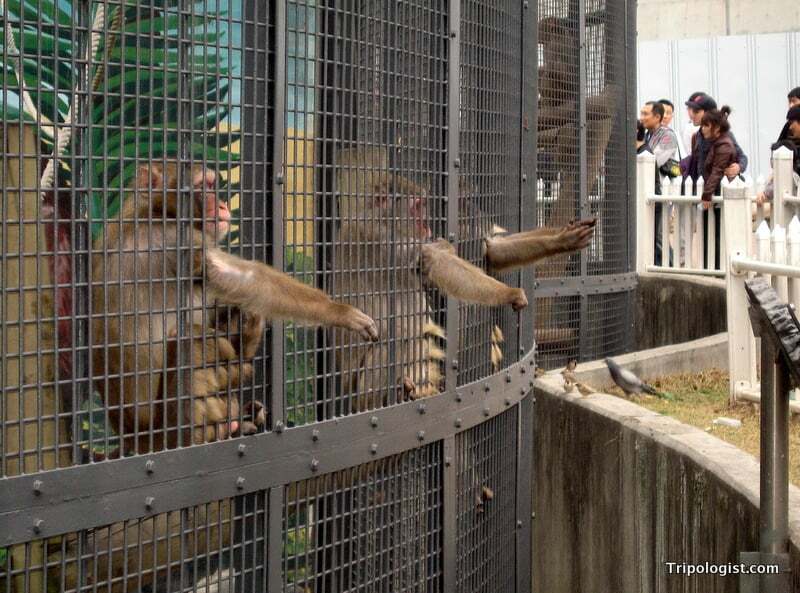 Monkeys begging for food from passing locals at the Children’s Grand Park zoo in downtown Seoul. 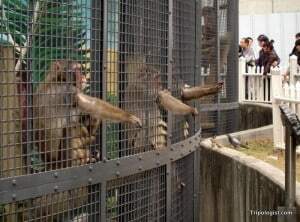 The zoo’s monkeys are also very animated; frequently begging for food from passing locals, who happily oblige them despite pervasive signs telling them not to feed the animals. Another great part of Children’s Grand Park is the amusement park, iLand. Featuring a roller coaster, bumper cars, a swinging ship, and several other rides, the park is a great way to spend a few hours. Since the park is run on a pay by the ride system, you can walk around the park, even if you aren’t interested in riding anything. While in iLand at Children’s Grand Park, make sure to check out the merry-go-round, which was famously featured in Psy’s uber-popular music video “Gangnam Style“. For those interested in more vigorous pursuits, the park also features several miles of paths and trails, perfect for taking a walk or riding a bike. There are also tennis courts and soccer fields tucked away in various places. If you visit the park, make sure to check out the musical fountain at dusk, which provides an excellent music and water show. While I’m not usually a huge fan of musical fountains, the one in Children’s Grand Park is one of the best I’ve ever seen. The park is open year round, but is a great place to visit during spring when the cherry blossoms are blooming and during fall when the leaves are changing color. During the winter, the park is still open, but some of the attractions are closed and several of the animals at the zoo are taken inside. Children’s Grand Park is located just outside of the Children’s Grand Park station on subway Line 7 in the northeastern part of downtown Seoul. The park is open daily from 5am to 10pm (the zoo is open from 10am to 5pm). There are several restaurants in the park as well as numerous clean public restrooms.